Short overview on the poultry sector in Kenya with data and trends. 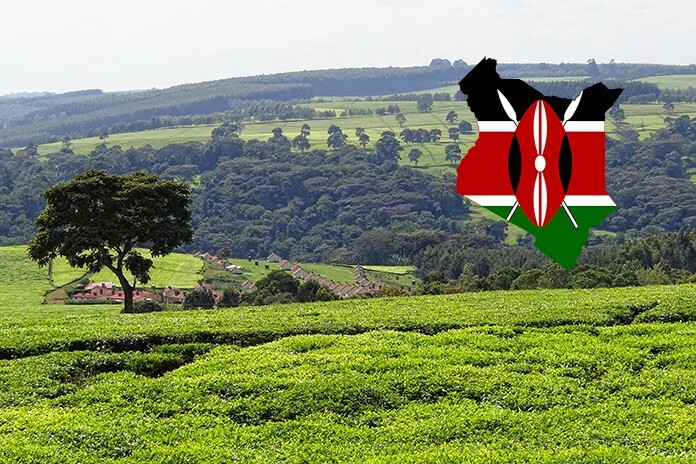 Kenya is one of the three East African countries and is neighboring Ethiopia to the northeast, Somalia to the east, Sudan to the north, Tanzania to the south, Uganda to the west and the Indian Ocean to the southeast. The country hosts a population of 41.6 million people. Agriculture accounts for 24% of Kenya’s gross domestic product, making it the second largest contribution after the service sector. The outlook is promising and a combination of trends could contribute to ensure positive prospects in the short to medium term. Meat consumption levels are still low, but are expected to rise rapidly with increasing GDP and a growing middle class off increasingly conscientious consumers. These consumers will start making increasing demands concerning quality and safety, which the Kenyan meat production, processing and distribution sectors will have to make enormous efforts to satisfy. It is expected that meat consumption will double in the period 2000 to 2030. Pork and poultry meat consumption are expected to triple as a combined effect of increasing per capita consumption and population growth. Agriculture contributes 25% of GDP in Kenya with poultry playing a major role, representing 30% of the agricultural contribution to GDP. 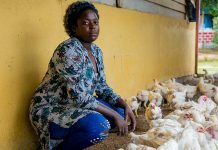 Some poultry companies in Kenya have operations that qualified it to be classified as a sector one farming system, with contract farming as part of their strategy. A substantial number of day old chicks produced in Kenya (42%) are exported to neighboring countries. Kenya has an estimated poultry population of 31 million birds. Of these, 75% consist of indigenous chicken, 22% of broilers and layers and 1% of breeding stock. Other poultry species like ducks, geese, turkeys, pigeons, ostriches, guinea fowls and quails make up 2 % of the poultry production (MOLFD, 2012). While indigenous chicken are mainly found in rural areas, broilers and layers are kept in urban areas. The commercial poultry sector is producing over one million chicks per week. The features of the commercial market are a growing urban population and growing retail sector such as fast food branches, supermarket branches and restaurants. The demand of commercial chicken (whole, half, parts, grilled and fried chicken) and eggs is high and growing. 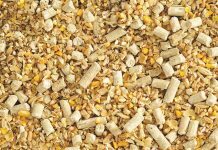 Feed price are high due to high raw material prices. Necessity of a higher supply of parentstock and day old chicks. Necessity of adequate slaughter houses and equipment. Need of developing education in the sector. Necessity of vaccines and drugs supply. From the Potential for Poultry Production in Developing Countries.